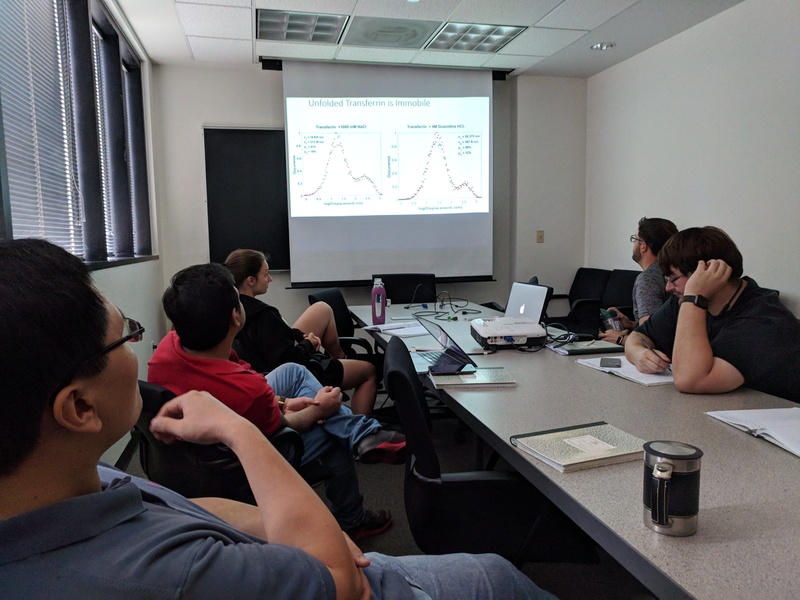 During the academic year, the group meets weekly to discuss news and progress in the laboratory and listen to a presentation from one of the group members. 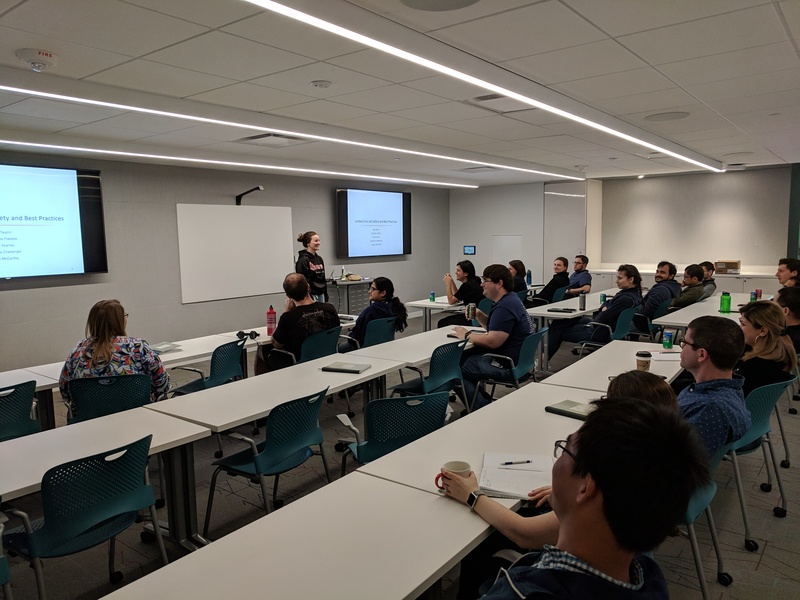 The Proteins Separations group focuses on our research projects looking at surface interactions and its applicability to column chromatography. It boasts a robust combination of computation and experiment that has produced many high impact publications. Protein corona, protein conformations, and chiral interactions are all topics of interest for the Nano-Bio subgroup. 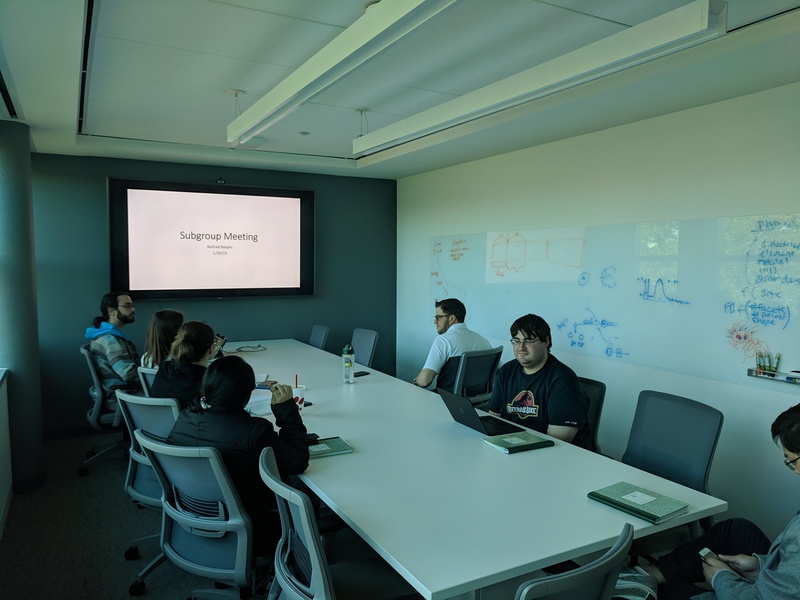 As the largest subgroup with the broadest overlap with the Link lab, students participating in this meeting receive a wealth of feedback. 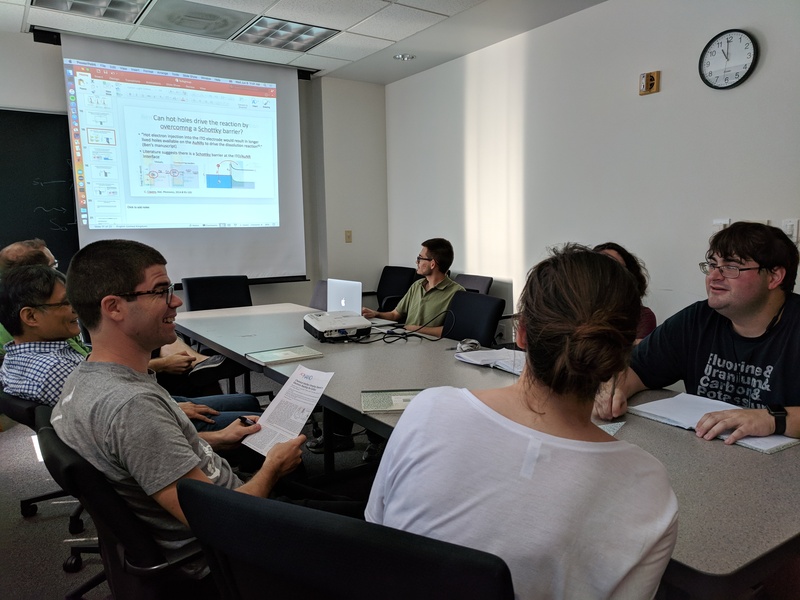 All students and postdocs working in the electrochemical vein of our research group meet to discuss the recent findings of a group member. Feedback from a variety of experienced sources plays a crucial role in developing nascent students into successful researchers.